KEY TECHNOLOGIES: Placing the 25-gram tungsten weight in the toe and the 3-gram aluminum weight in the rear helps alleviate hooks. PLAYABILITY: Shots can be made to order, and the M1's menu is huge; at its best from clean lies -- perfect for teeing off on par 4s or attacking short par 5s. ACCURACY/FORGIVENESS: Not totally idiot-proof, but it'll get you what you deserve; adjustable weights are useful against the dreaded hook; misses fly far. DISTANCE: The M1 may fly like an iron, but it hits like a Mack truck -- probably the longest hybrid in the test; packs an extra gear -- some say it's 10 to 15 yards past an equivalent iron, and it wants your 3-wood's job. FEEL: Deep and dense; smothers the ball, then blasts it away; swings like a wood and rips through the turf; misses are heard as much as felt. LOOK: Cadillac class over the ball with concept-car tech under the hood; testers are glad to see TaylorMade back in black; not much bigger than some 3-irons. Picks power over finesse every time, and some guys get the occasional long foul ball; so long that it may take time to fit into your set; about average out of trouble. BOTTOM LINE: Pound-for-pound, the sleek M1 might pack the biggest punch of anything we tested. If you're a strong ballstriker looking for a distance boost and a club that you can manipulate like an iron, look no further. 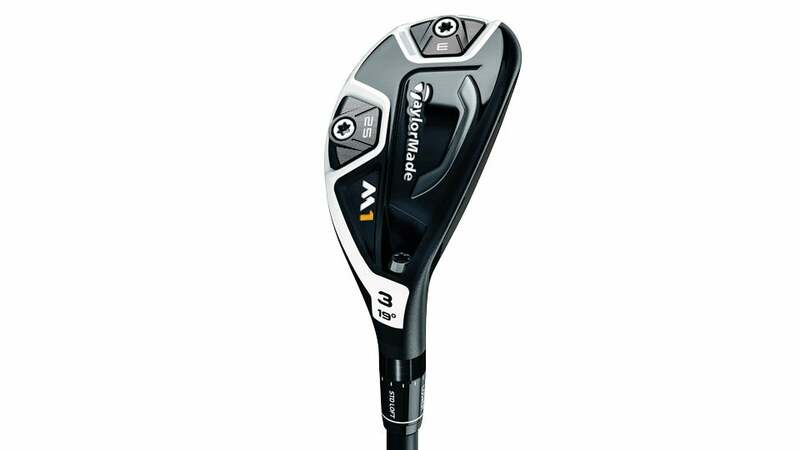 This is a big step up for TaylorMade.